The lyric above is more appropriate than it may appear when it comes to preparing your body for a 5K of hard-out racing effort. 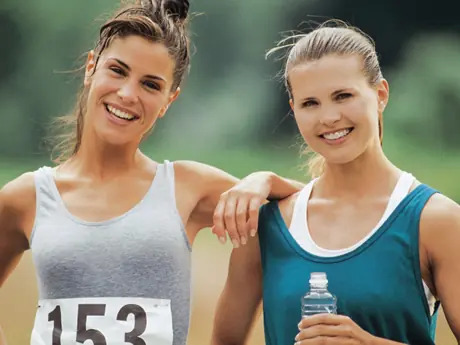 The simple fact is that fueling for a race as short as a 5K, a race that will take most runners under 35 minutes, does not have to be a complicated endeavor. To work hard for a half hour, you need some kind of fuel for your fire and it can be—like the song says—that which you desire. You can, if you want, race a 5K on two Taco Bell chalupas. You can also dump vodka into your car's gas tank and try the quarter mile. Just know that you're probably going to pay the price either way. For athletes concerned about performance, a higher grade octane is needed. The fuel you're looking for is carbohydrates. Consuming carbs the night before a race will ensure that your glucose levels are high. Glucose is what your body will turn to for energy. Not only do your muscles use glucose, but so does your brain. A healthy carb bump the afternoon before your race will help you stay focused on the course. More: Are You Eating Enough Carbs? What are carbs, specifically? Pasta is a carbohydrate, and a flexible one at that because there are so many ways to prepare it. Throwing some tomato-based sauce and many colors of vegetables into a pasta dish is a great way to prepare a healthy and tasty meal. Bread and rice are also familiar sources of carbs. But fruit and quinoa, a grain which doubles as a great source of protein, will also fill your tank with the proper power. Be sure not to eat too much; you don't want to try to digest and sleep with a stuffed stomach. Feeling tired or waking up still full will compromise any positive benefits your pre-race meal might have given you. A good rule of thumb is to eat like a 5-year-old. Eat until you feel satisfied; then stop. Don't forget to hydrate the day before. You don't want to be sloshing around the house, but you also don't want to be dry at the start line. If plain water is boring, there are many other products like coconut water and sport drinks out there. Who Burns More Calories: New or Veteran Runners?